A Georgia man and an armadillo failed in a bid to kill the man’s mother-in-law. Joking aside, this bizarre story could have ended rather differently if the bullet had taken a bit of different trajectory. 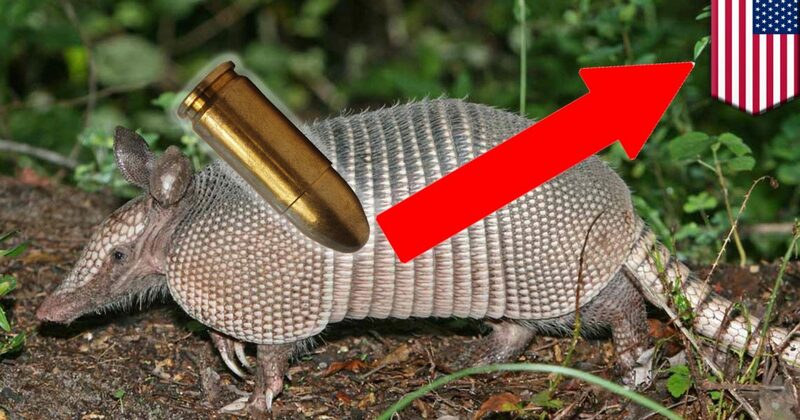 A man in Lee County, Georgia had an armadillo problem and decided to shoot it. But armadillos are tough; they aren’t bullet proof, of course, but a 9 millimeter bullet isn’t up to the task. The man shot his 9mm handgun at the animal, which did reportedly die, but not before getting a little post-mortem vengeance. The bullet ricocheted off the beast, bounced off a fence, entered a porch door, plowed through the recliner chair his mother-in-law was sitting in — and finally, entered his mother-in-law. The mother-in-law was only slightly injured and will recover fully. No charges were filed, but authorities recommended the man use a shotgun next time he needs to dispatch an armadillo. Previous The Most Devastating Tire-Slashing FAIL In History - Karma Got This Guy!